The chef and TV personality shares the reasons he thinks you'll want to tune in. Andrew Zimmern—the chef and personality behind the television franchise Bizarre Foods—is back with a new show that premieres tonight on the Travel Channel. The Zimmern List, which you can watch beginning at 9 p.m., follows Zimmern as he visits his favorite food destinations across the country, sharing his favorite dishes and talking to the chefs and entrepreneurs working in the restaurants he adores. 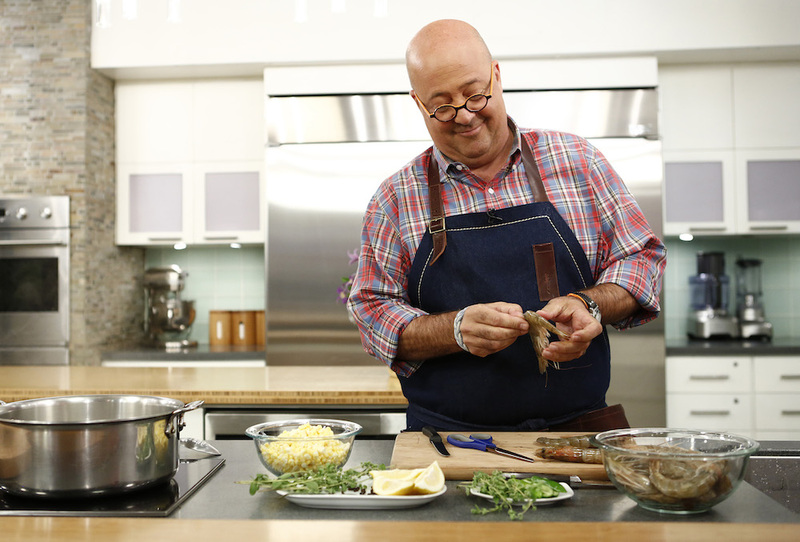 “Most people are used to seeing me in the Bizarre Foods franchise, and those shows are shot with a much different point of view and style,” Zimmern tells Food & Wine. With those extra minutes saved, Zimmern will take the time to get to know the men and women making the dishes and waves in the industry. For example, in tonight’s premiere episode, which takes place in Los Angeles, Zimmern will stop by Trois Familia for French cuisine and a conversation with chef and friend Ludo Lefebvre.